Millions of Americans suffer from opioid use disorders involving prescription pain medications, and each day approximately 40 people fatally overdose on them. Granted these medications may have a legitimate and important role in the treatment of severe acute pain and even some severe chronic pain conditions, it remains clear that they are being overprescribed or prescribed without suitable safeguards and monitoring. This has significantly contributed to the shocking rise in opioid use disorders and to the related resurgence of heroin. In April 2016, the Centers for Disease Control and Prevention (CDC) took a major step towards addressing this interconnected crisis by issuing new guidelines for prescribers. These guidelines reference the use of opioids for treating patients who are diagnosed with chronic pain. Recent studies indicate that approximately 70 percent of the opioids dispensed in the U.S. are used for that purpose. The CDC recommends that opioids should not be used as the first option or the only treatment for patients who suffer from chronic non-cancer pain. The new guidelines recommend that non-opioid therapies, for example non-steroidal anti-inflammatory drugs (NSAIDS) like aspirin and ibuprofen, as well as non-drug treatments such as exercise and cognitive behavioral therapy, should be considered in the place of or in combination with opioid medications. When opioids are prescribed, physicians are encouraged to prescribe the lowest effective dose and closely monitor and follow-up with their patients. Notably, the new guidelines do not apply to treatment of cancer pain or end-of-life care. 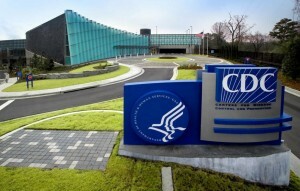 The published guidelines are the result of an extensive process in which all available scientific data were reviewed and the CDC also sought out input from experts and multiple stakeholders, including NIDA and other Federal agencies. The guidelines address one of the prongs of the HHS Secretary’s Opioid Initiative—to improve pain prescribing practices and physician education in pain treatment. Although these guidelines are not rules that legally bind doctors in their treatment of pain patients, they do provide guidelines that would serve as valuable advice that physicians, who currently receive little training in pain management, will welcome. This is a great first step for not only safer but also more effective pain management in our country. Next: Two synthetic drugs pose threat to public health. What are they?